Inbound marketing is experiencing a rebirth. It seems like only yesterday, we all woke up to the realization that customers no longer rely on salespeople and advertising to make purchase decisions. They did their own research, and companies that produced the best content and smartest conversion paths got the business. This relationship still exists, but customers are changing the rules of engagement, forcing marketers to develop smarter tools and strategies to meet their expectations. It’s clear that people want more from us than just valuable content and a form. They want a better experience before and after the sale. I showed up at Inbound 2017 with a keen interest in finding out who else is thinking about these changes, and what ideas they’ve hatched. HubSpot and the amazing presenters they lined up made it clear they’ve been paying attention. I left the event with my head packed full of inspiring ideas, but I want to start by focusing on takeaways regarding the most important aspect of what we do: lead generation. Let’s take stock of the seller-buyer relationship today. The balance of power still weighs heavily on the side of buyers. They research their options, vet the providers, and contact a salesperson when they are ready to narrow the list to one. But the dynamic has changed. Gone are the days when you could throw a whitepaper together, lock it up behind a form, and watch the leads roll in. People are justifiably pickier about what forms they fill out, because every clown with “Marketing Guru” on his/her business card has been spamming them to death instead of providing value. Thanks, guys. 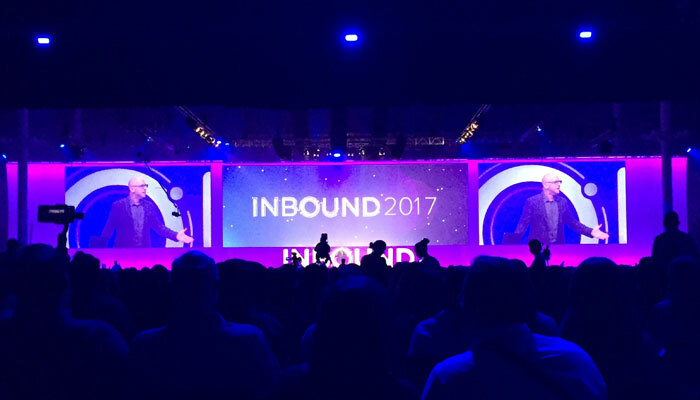 When I took a seat at Inbound, I wanted to hear that HubSpot is helping us go “beyond the form.” I got some answers. 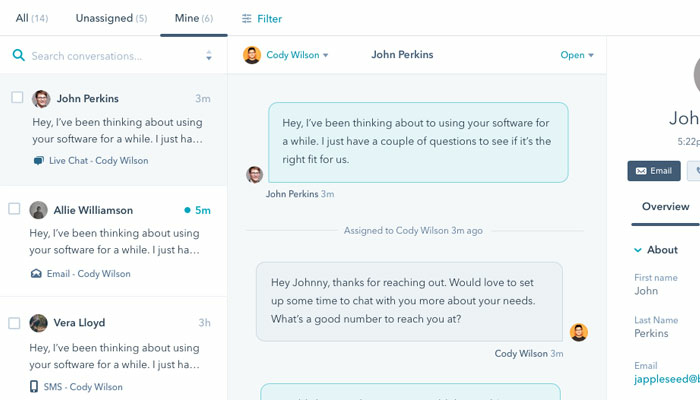 Billed as the “biggest project in the company’s history” by co-founder Dharmesh Shah according to CMS Wire, HubSpot Conversations is a new tool that allows brands to chat with customers from multiple platforms. When someone reaches out to you with a question on Facebook, Slack, and other channels, the conversation comes right to you in HubSpot. Customers will reach you immediately from any device. This is an important development not only for sales and marketing, but any client-facing department in the organization. Nothing boosts retention like a fast response to customer questions. So, what happens when no one is available to respond right away? With Conversations, you can create chat bots that use artificial intelligence to gather information from the customer, giving your team a better understanding of his/her needs when they are able join the conversation. The takeaway here is not everyone who comes to your website wants to download an eBook. Just like shoppers in a brick and mortar store, some people want to explore at their own pace and ask a question when they’re ready. Conversations will help you facilitate easy, natural interactions while generating leads at the same time. HubSpot’s marketing hub is now integrated with Facebook Ads. You can sync your smart lists with Facebook audiences for precision targeting, allowing you to retarget audiences based on actions they’ve taken on your website. This integration offers several advantages. You can improve the efficiency and effectiveness of Facebook ad campaigns using data you’ve collected from your leads in HubSpot. It also streamlines the process of transferring contact data from HubSpot to Facebook – no more downloading and uploading spreadsheets. By managing your campaigns within the Marketing Hub, it’s easy to keep on top of tasks like freshening and testing your creative. The greatest driver of growth is the one most ignored by businesses – customer experience. But advertising does not create word of mouth referrals. Happy customers do. 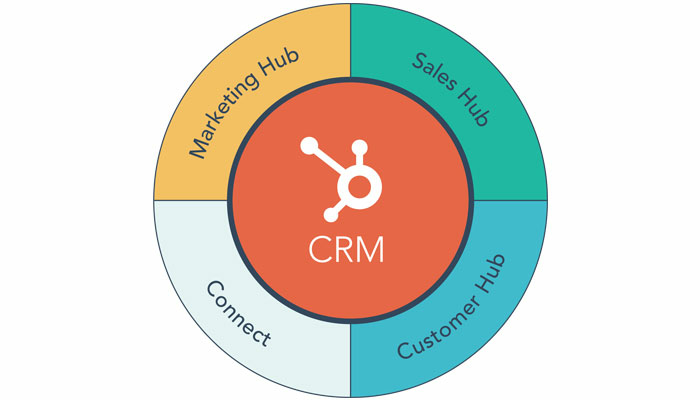 That’s why HubSpot is adding a Customer Hub to their suite of sales, marketing, and CRM tools, providing an end-to-end business management solution for the first time. 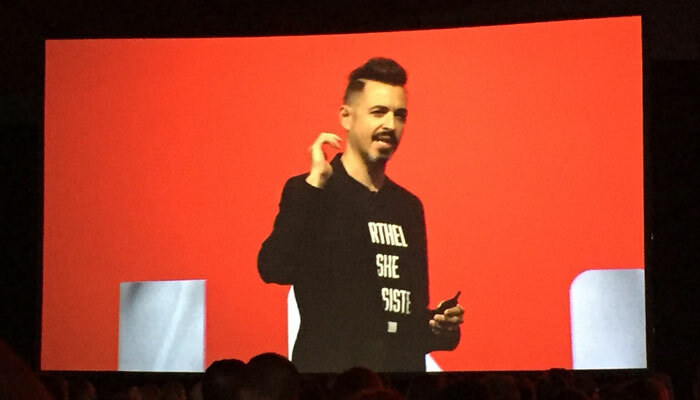 Thank you, Rand Fishkin, for reminding us that content doesn’t have to live on our own websites to be effective. During his Spotlight Session at Inbound, Rand jumped onstage and blew up several marketing myths that block us from success. Each of his points struck home, but the comment about off-site marketing was the one I needed to hear the most. There’s a big internet out there, and it’s easy to get so focused on bringing people to the mother ship we miss important opportunities elsewhere. People spend countless hours on Quora, YouTube, Reddit, LinkedIn, Pinterest, Instagram, and Facebook on a monthly basis. You can make lasting, profitable relationships with them, even if you aren’t using owned media to do it. Rand also mentioned that we need to stop thinking about guest posting as a link building tactic, and more as sustainable way to build an audience. Can I get a round of applause for this man?? What struck me the most as I looked through my notes from Inbound is how easy it is to lose sight of what customers want. They tell us they want fast answers over chat, and we try to make them fill out a form. They want to browse Facebook and LinkedIn, and our ads try to push them to our websites. We need to enable customers to start a conversation on their terms. Otherwise, can we honestly say we are "walking the walk" about knowing your audience?